In the current SEO climate, implementation of simple SEO techniques can only take your business so far in attain top Google rankings. Marketers need to do much more way in the deeper aspects of SEO to realize authoritative results, such as research, testing, constant vigilance, and consistency to achieve desired results. SEO is an investment, and like any investment, marketers should actualize SEO in terms of they put in. Experiencing fruitful results can be achieved by adopting effective SEO tools that provide the insight and intelligence to make actionable decisions. To further your SEO potential in using such tools, you need skilled personnel, budget, time, technology, and appropriate resources. It does not matter you are investing or not, the important thing is that how it can be managed to optimize the marketing objectives. You can adopt SEO through outsourcing and insourcing. The benefits of the outsourcing are that their professionals understand both the complications and advantage of the SEO techniques. They have the requisite skill and can give you long term benefits. It can also reduce the training cost of the in-house personnel. For the insourcing, you will get the professionals who are specifically trained to bring improvements in your marketing strategies. They offer you more time and expertise to bring improvements in your business strategy. This reduces agency expenses and limits the extra staff expenses. The major different between the insourcing and outsourcing is that insourcing requires more time to achieve the goal and to acquire the corporation culture. If you are looking for SEO tools for your in-house marketing team, then it is imperative to implement the most relevant tools to get long term benefits.These tools will help yield information to make calculated SEO decisions and execute effective SEO strategies, all while keeping your target top of mind in Google search. When it comes to website optimization tools, you need to focus on some important factors such as website load speed, image and media size, and elements of conversion rate optimization (CRO), which often center on call-to-action (CTAs) and constructing the the design of your web pages. Optimizely and Pingdom offer great SEO tools for website optimization. The backlinks scanning tools are considered effective for a successful SEO. It helps you to scrutinize the connection from a specific page, examines the link building possibilities, and accesses the connection quality. Backlink scanning tools will offer you data about the domain authority, anchor text analysis, incoming links, web rank values, PageRank, incoming links, and the link quality. Some of the best options in the SEO community are Majestic and Ahrefs. Google Alerts can help you to get all the updates about the news, blogs, articles, and about other general information. Google Alerts keep you on the top by offering all the latest industry developments. It not only helps you to understand the new arrivals and complications of the marketing strategies, it can also help to make the plans accordingly. Google Alerts is one of the best ways to pinpoint opportunities to find inbound links and to build backlinks with genuine sites. This can help your business rank in better in the Google local 3-pack as well as organic results. 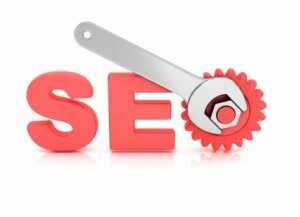 There are many solid SEO tools that you can implement in business and marketing efforts. The essential thing is that what is your objective and how can it help you to set long-term goals.